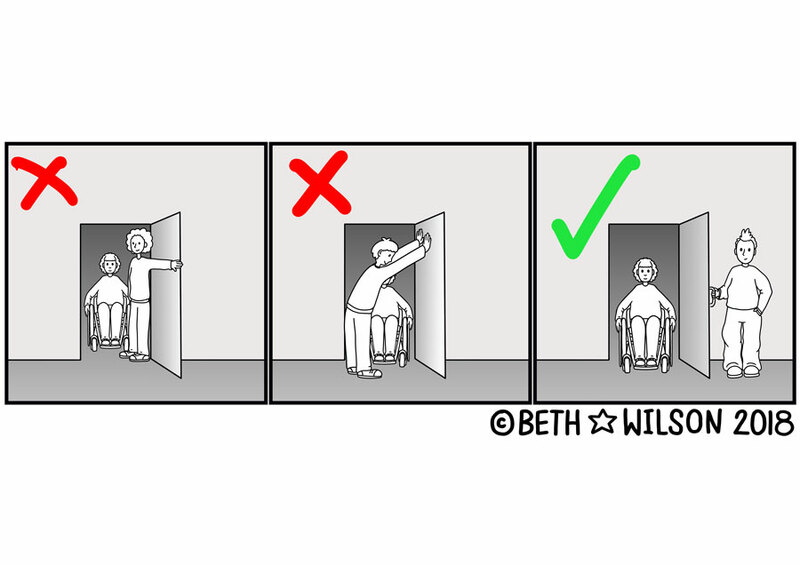 Most wheelchairs only just fit through standard doors and so often, well meaning people who open doors for wheelchair users actually make it more difficult because they get in the way. I make my comics for free but it takes time away from work I do to make a living. If you like what I do and want to support me please tip me!